Samples of affinity diagrams, relations diagrams, prioritization matrices, root cause tree diagrams, involvement matrices, PERT charts, risk diagrams (PDPC) and mind maps are created using ConceptDraw MINDMAP v10 mind mapping software and ConceptDraw DIAGRAM v12 diagramming and vector drawing software enhanced with Seven Management and Planning Tools solution from ConceptDraw Solution Park. Seven Management and Planning Tools sample: Implementing continuous process improvement. This example is created using ConceptDraw DIAGRAM diagramming software enhanced with Seven Management and Planning Tools solution from ConceptDraw Solution Park. Seven Management and Planning Tools sample: Relations diagram — Health care. Seven Management and Planning Tools sample: Prioritization matrix — Health care problems. Seven Management and Planning Tools sample: Root cause analysis tree diagram — Personal problem solution. Seven Management and Planning Tools sample: Involvement matrix — Sales. Seven Management and Planning Tools sample: PERT chart — Sales. Seven Management and Planning Tools sample: Affinity diagram. Seven Management and Planning Tools sample: Affinity diagram — Business expansion. Seven Management and Planning Tools sample: Affinity diagram — Personal activity. Seven Management and Planning Tools sample: Involvement matrix — Distribution of responsibilities. Seven Management and Planning Tools sample: Involvement matrix — Project participants. Seven Management and Planning Tools sample: Involvement matrix — SEPP program roles and responsibilities. Seven Management and Planning Tools sample: Opportunity prioritization matrix. Seven Management and Planning Tools sample: Participation matrix — Central statistical office. Seven Management and Planning Tools sample: PERT chart — Project management. Seven Management and Planning Tools sample: PERT chart — Request for proposal (RFP). Seven Management and Planning Tools sample: Prioritization matrix. Seven Management and Planning Tools sample: Prioritization matrix — Sales activity. Seven Management and Planning Tools sample: Process decision program chart PDPC — Minimization of material wastage. Seven Management and Planning Tools sample: Process decision program chart PDPC — Personal activity. Seven Management and Planning Tools sample: Relations diagram. Seven Management and Planning Tools sample: Relations diagram — Sales process. 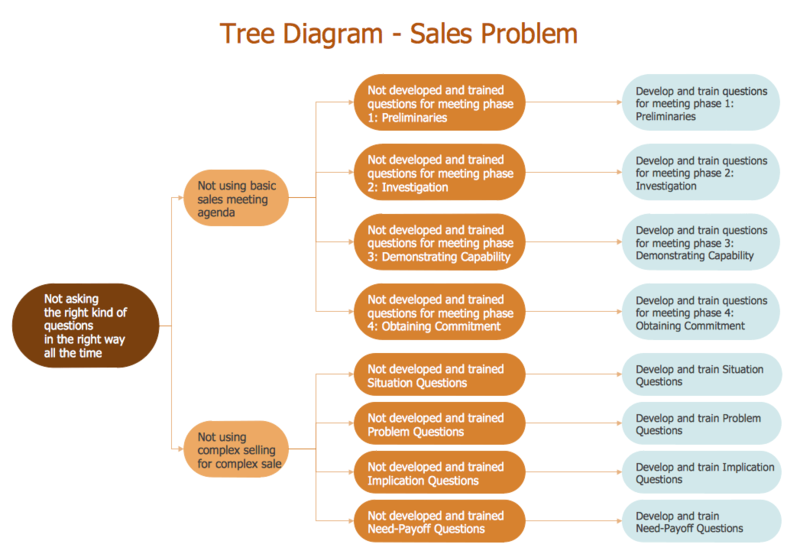 Seven Management and Planning Tools sample: Root cause analysis tree diagram. Seven Management and Planning Tools sample: Root cause analysis tree diagram — Manufacturing problem solution. Seven Management and Planning Tools sample: Root Cause Analysis Tree Diagram - Sale Problem Solution.